This village El Port De La Selva is at the western end of a bay bearing the same name, and at the foot of Cap Gros. It is the only natural harbor on the coast. In this part of the coastline, the mountains fall down to the sea in sheer cliffs, majestically impressive and rugged, forming the Cap de Creus, with the islands Massa d'Oros and l'Encalladora before them. You can also admire Punta de la Creu , Isla Cullero, Punta dels Farallons, Punta de Moli, Isla Portalo, Penyes Roges, Cap Gros, Punta Blanca and other steep rocks. After all this ruggedness El Port de la Selva seems a haven of calm. It used to be a fishing village, with an attractive natural harbor which has been artificially enlarged so that within the bay the water seems as calm as a lake. The city is contained within the curve of a enormous natural amphitheatre ringed by mountains beginning at the point called Port de Reig and stretching round to the Moll de Malleu. As well as the beach in the middle of the gulf, El Port de la Selva also has the beach of La Vall, on the other side of Punta Cap de Terre. Its official population is slightly more than one thousand. A couple of hotels, a few boarding houses and a nice camping site welcome tourists and foreign holiday-makers. There are also numerous apartments, houses and flats which belong to people who have been coming to El Port de la Selva for their holidays for many years. Three kilometers from the beach is the village of Selva de Mar, where the fishermen from this part of the coast have lived for ages, alternating farming the land and fishing. 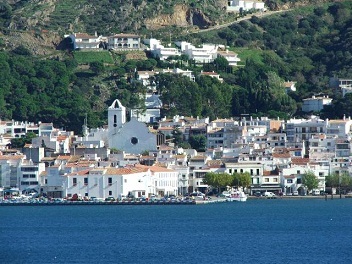 Nowadays Port de la Selva grew from this village and its coastal installations. 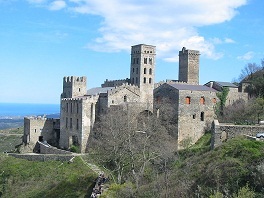 The small trips and excursions you can make up the Valley of Santa Creu are very interesting, particularly the route to the old Benedictine monastery-fortress of Sant Pere de Rodes, the enormous church, consecrated in 1022, is a magnificent example of Romanesque style in art. The ruins of another old fortress can be seen further up the mountain, above the monastery which is in the process of restoration. The enormous size of the main structure and of its adjacent constructions, continue to evoke the greatness of their past with their very impressive silhouette.